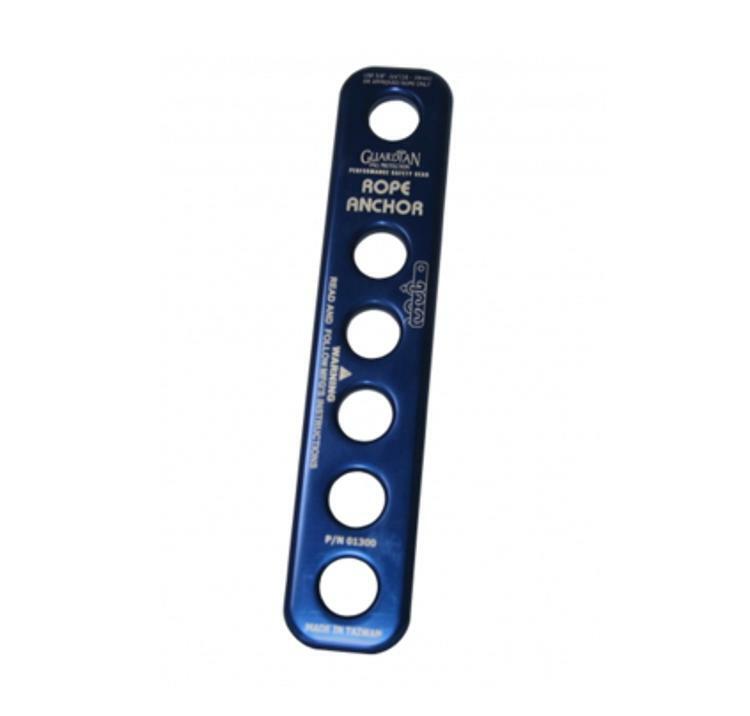 The Guardian Fall Protection Rope Anchor functions to integrate an anchorage connector with a vertical lifeline system. To use, install rope through the Rope Anchor according to the provided instructions, and either connect it with a compatible carabiner to a separate anchorage connector, or loop around a compatible anchor point and pull rope through the Rope Anchor to create a self-contained system. The Rope Anchor is certified to withstand loads up to 5,000 pounds, is made from lightweight and corrosion resistant aluminum, and is incredibly simple to use.